Did you notice at least one of these signs? Then you definitely need battery jump starting. If you are thinking of dialing your friend’s or a family member’s digits at this moment, don’t. Seeking for a friend’s help is free, but it will be wiser to seek instead for help from professionals. Not all people know how to jump start a car battery. The wirings may go all wrong, and you and your friend are risking getting electrocuted. Battery jump starting can be done by anyone who had experienced similar incidents, that’s for sure. However, not all people can tell how to make sure this will not happen again. Our team of professional mechanics will give you tips on how you can maintain your car the right way. If you are a tourist coming to Texas and your car died in the middle of the night, seeking help from locals is definitely something to hesitate on. Let Captain Towing assist you. We will make sure you get to experience Dallas without you having to stress over your car. We provide battery jumpstarting services 24/7 in Dallas area. Even in the middle of the night, we will get to your location and help you with your car battery problems. Captain Towing hires only licensed technicians to ensure clients are taken care of and the services provided are always well done. Our technicians work on a shifting schedule so we can fulfill a roster that runs 24 hours a day, 7 days a week. 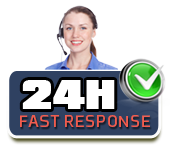 We make sure that when customers call, our staff are on-the-go, especially in cases of distressing situations. If you are having car battery troubles, we can help you! Apart from battery jumpstarting, the services we provide also include roadside assistance, car battery replacement, tire fixing, car lockout solutions and towing services. Keep our company’s number on your phone, so that if in the future you need help, you have Captain Towing in just a matter of minutes. We will get to you no matter where you are in Dallas, TX. Our staff are friendly and are always willing to help. Regardless of the day and time you called, our staff will accommodate you, and you will see only smiling faces when our technicians arrive at your location. We make sure they are in good health, so they can provide high-quality services and we can ensure best customer experience. We regularly sends technicians to trainings and seminars, so they can keep their licenses and also claim certifications. Our technicians are highly skilled and are people who know their craft. We not only ensure the equipment they use are advanced, but we also ensure the knowledge of our technicians are more advanced. We invest in special tools and equipment so we can ensure fast services, easy work for technicians and great customer experience. You will not have to worry over your car getting hurt. You will surely be glad you called us for assistance, because you know you get the most out of what you paid for. We provide all these good services at prices that you know will not break your bank. We have been in business for a while now, and we were able to stay in the game with the good reputation we gained over time. We are honest and reliable. We make sure you are safe and will only experience easy driving when we let you go and you get back on the road to continue your trip to an important meeting. Call Captain Towing in Dallas, TX now for inquiries about the services we offer or check out the other pages of this site for more information on our services. We guarantee you top-quality services, including towing services, battery jumpstarting and car lockout solutions, at affordable prices.